New deals have just been added to B&H's Apple Holiday Deals page, complete with triple digit discounts on Apple hardware. Pick up a 13-inch MacBook Pro with function keys for just $1,199.00 or a 27-inch iMac 5K at up to $200 off. A small sampling of offers can be found below, while the rest of the Mac and iPad deals can be found on B&H's Apple sale page and in our Price Guides. 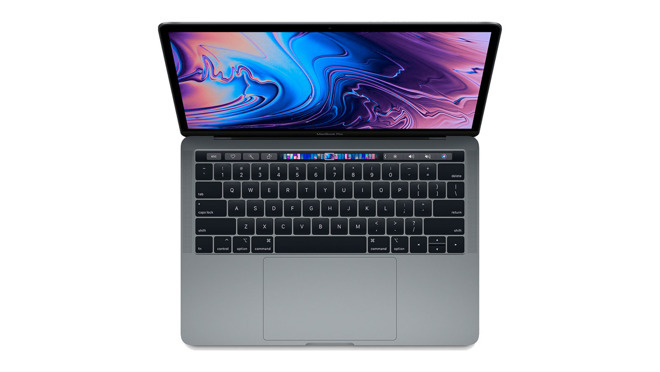 Apple authorized reseller B&H Photo has just knocked $100 to $150 off nearly every Late 2018 13-inch MacBook Air, bringing prices down to as low as $1,099 for models in your choice of Silver, Space Gray or Gold. Whether you're looking for the standard configuration for $1,099 or a system with 16GB memory, a wide variety of notebooks are eligible for a cash discount. These MacBook Airs are expected to ship out in the near future, with many models anticipated to arrive within a week. B&H is also tacking on free expedited shipping on orders shipped within the contiguous U.S., and the retailer will not collect sales tax on orders shipped outside of AL, HI, IL, IN, KY, MD, ME, MI, MN, MS, NJ, NY, ND, OK, VT, WA and WI*. This makes these offers great for the student or business traveler on your holiday shopping list that needs a portable machine without breaking the bank. According to our 2018 MacBook Air Price Guide, these deals ring in as the lowest prices available for online shoppers by at least $50. Discounts are heating up on Apple's current 13-inch MacBook Pro with function key line this week. B&H has just issued $100 markdowns on a variety of configurations with prices starting at $1,199.00. In addition to the cash discounts, B&H is throwing in free expedited shipping within the contiguous U.S. to get you up and running in a matter of days. The Apple authorized reseller also will not collect sales tax on orders shipped outside AL, HI, IL, IN, KY, MD, ME, MI, MN, MS, NJ, NY, ND, OK, VT, WA and WI, potentially saving many shoppers another $100+. 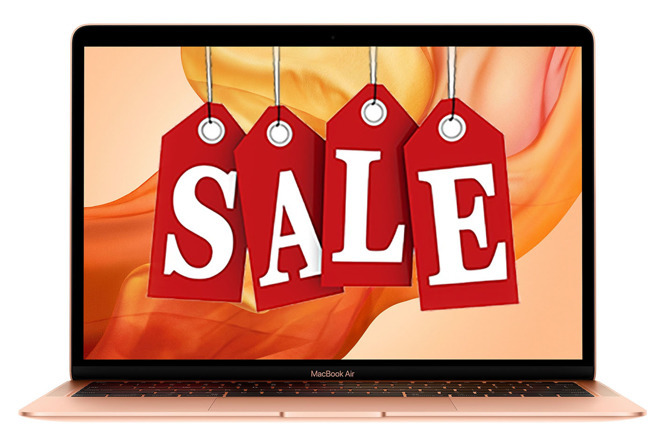 Apple's current 13-inch MacBook Pro with Touch Bar is also on sale with triple digit discounts of up to $200 off. Like the non-Touch Bar models above, these MacBook Pros qualify for free expedited shipping within the contiguous U.S. for speedy delivery to your doorstep. What's more, B&H will not collect sales tax on orders shipped outside AL, HI, IL, IN, KY, MD, ME, MI, MN, MS, NJ, NY, ND, OK, VT, WA and WI. 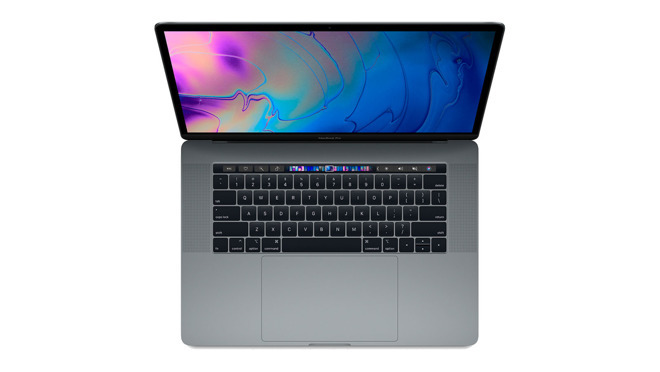 According to our 2018 13-inch MacBook Pro Price Guide, these bargains provide shoppers with the lowest prices available. Apple's robust 15-inch MacBook Pro is marked down as well. Packed with a variety of upgrades — from additional storage to better graphics —these 2018 models are up to $300 off instantly thanks to cash rebates at B&H. With free expedited shipping and no tax outside AL, HI, IL, IN, KY, MD, ME, MI, MN, MS, NJ, NY, ND, OK, VT, WA and WI, these systems are great for holiday gift giving. 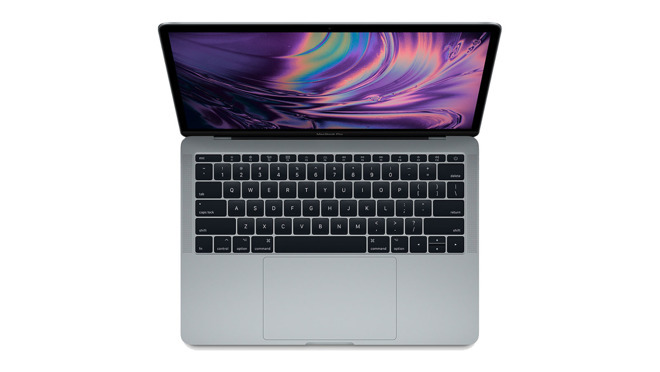 Top picks can be found below, while a full list of discounts can be found in our 2018 15-inch MacBook Pro with Touch Bar Price Guide. You can easily tack on an AppleCare extended protection plan to these 2018 15-inch MacBook Pros for $379 by selecting the AppleCare option immediately after you press the "Add to Cart" button on B&H's website. Looking for the lowest entry price into a 2017 MacBook? 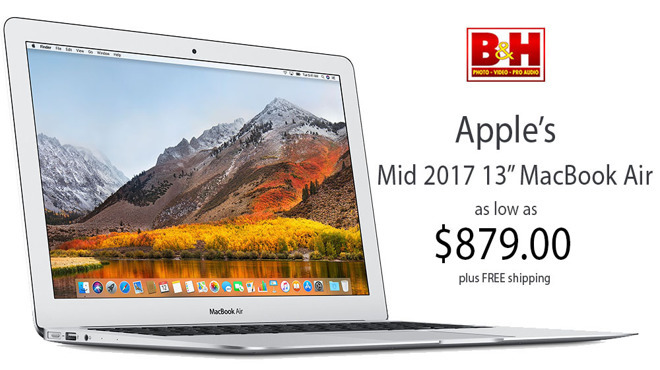 B&H has Apple's Mid 2017 13-inch MacBook Air for $879.00 this week, a discount of $120 off MSRP. This cash rebate is also in addition to free expedited shipping within the contiguous U.S. and no sales tax on orders shipped outside AL, HI, IL, IN, KY, MD, ME, MI, MN, MS, NJ, NY, ND, OK, VT, WA and WI. Need more storage? The 256GB model is also $120 off, bringing the price down to $1,079.00. Both of these deals offer shoppers the lowest prices available by $50 to $80, according to our 13-inch MacBook Air Price Guide. 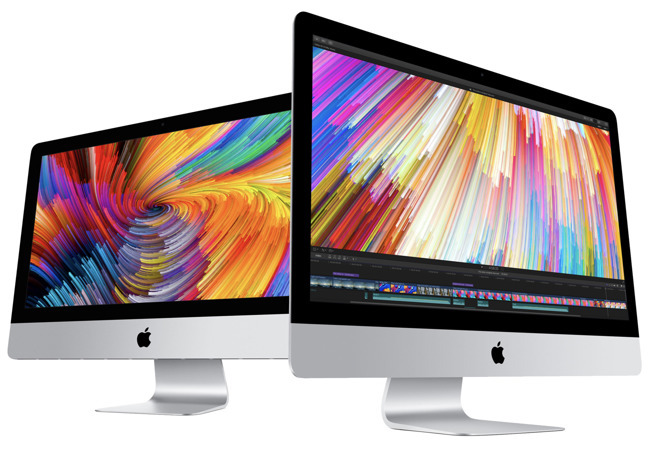 B&H is also running early Black Friday deals on popular iMacs, from the standard 21.5-inch HD model for $999.00 to the base 27-inch iMac 5K for $1,699. These deals, which offer shoppers the lowest prices available, also deliver free expedited shipping within the contiguous U.S. Along with the cash savings, B&H will not collect sales tax on orders shipped outside AL, HI, IL, IN, KY, MD, ME, MI, MN, MS, NJ, NY, ND, OK, VT, WA and WI. Macs aren't the only Apple devices that are marked down at B&H. 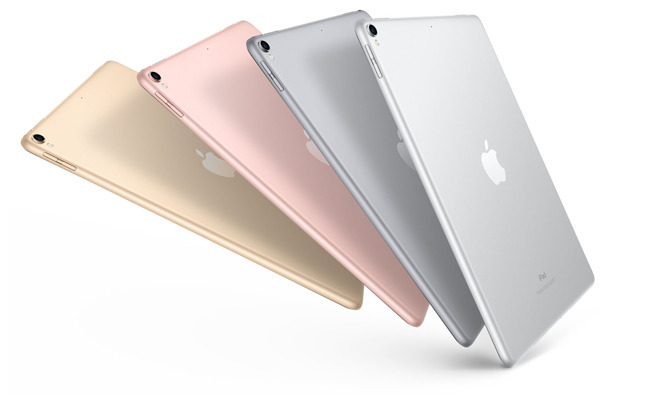 Apple's current 9.7-inch iPad is also on sale with prices starting at $309.00. These tablets offer first-gen Apple Pencil support with a Multi-Touch Retina Display that outputs at 2048 x 1536 resolution. 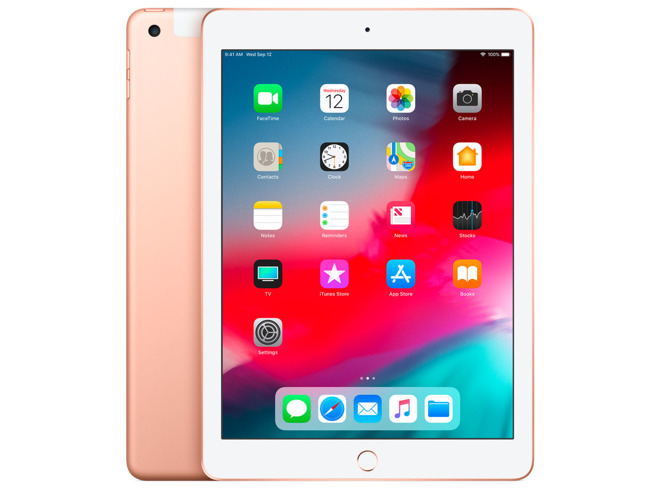 Great for students, travelers and those looking for an affordable iPad, these deals also qualify for free expedited shipping within the contiguous U.S. The Apple authorized reseller is also knocking $80 to $100 off 10.5-inch iPad Pros with at least 256GB of space. These tablets are compatible with Apple's first-gen Apple Pencil, with each iPad qualifying for free expedited shipping within the contiguous U.S. According to our 10.5-inch iPad Pro Price Guide, these deals offer shoppers the lowest prices available. Apple Watch deals are also in effect now at B&H Photo with savings of up to $300 off Series 3 devices. 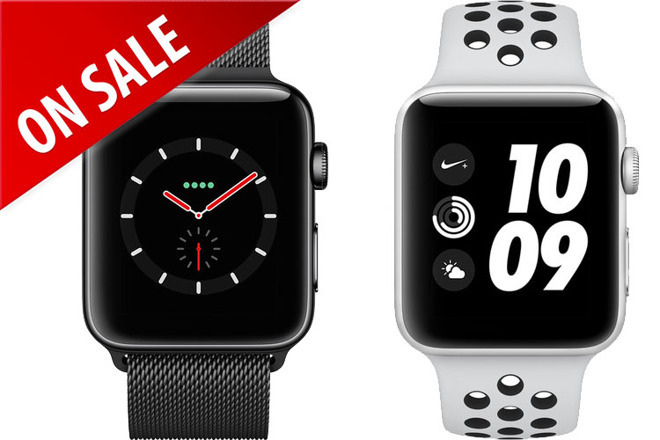 Prices start at just $259 for Nike+ models or $319 for Series 3 GPS + Cellular watches, with Milanese Loop styles qualifying for the steepest discounts.